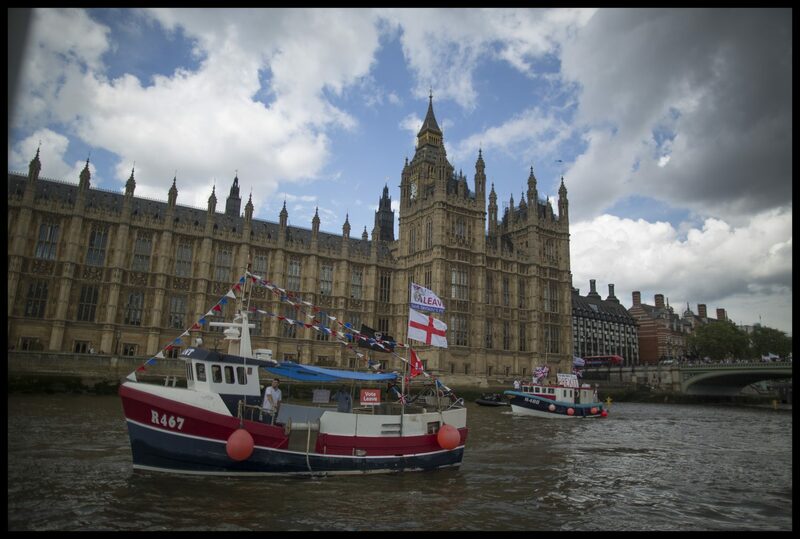 Members of the Leave campaign sailed to Westminster ahead of the EU referendum. Photo by Charlie Bibby, June 15, 2016. This post is co-authored by Robin Kwong. Journalists live for the big story. The UK’s vote to leave the European Union was by far the largest event in recent times for the Financial Times, an international news organization with a British base. FT.com, our website, had record levels of traffic on the day of the result, with the audience reading three times as many stories as usual. We also had our highest ever referrals from social media. It pays to think about how to address specific challenges your audience might face. For example, we knew there would be many opinion polls ahead of voting day on June 23, and that it might be difficult for our audience to keep track or draw an overall conclusion about their findings. Our interactive team provided a one-stop shop in the form of a polls tracker that captured the data in one place. With 4m unique page views, it is one of our most read pieces of journalism. News organizations have a tendency to prioritize recency and to think that people don’t want to read yesterday’s news today. But those who have not been closely following developments might want help with context and catching-up, especially on a domestic story that touches a global audience. To help solve this problem, our expert on search, Anna Lisinski, looked at the top questions people were searching for in Google and put them to our journalists, who answered them in a story. Even during the last few days before the referendum, the betting markets indicated an overwhelming likelihood of a ‘Remain’ result. This would have been a much less dramatic news event than a vote to leave. It is tempting to assume the most likely outcome will happen, and to feel that it is “overkill” to prepare stories that might never run, or to ask colleagues to be ready to work over the weekend when there might be no need. But it is always easier to scale back staffing in a hurry than to do the reverse. When things become really hectic, it is reassuring to know that there is a plan in place to which everyone can refer. Before the referendum, the FT established an extensive staffing rota (including seating plans for the main news desk hub), and timeline for the days after the result. It set out reporting priorities and stories to be published in the event of either a Leave or a Remain vote. A supporter of the ‘Stronger In’ campaign, seen in London before the vote. Photo by Charlie Bibby. June 20, 2016. If your news organization has a lot to say about an event, it’s likely that your readers will as well. At the FT, we treat readers’ comments not just as a resource, but also as an opportunity to engage in dialogue. This meant planning ahead of time how to use their comments in coverage, and asking for their viewpoints. Our communities manager, Lilah Raptopoulos, surveyed British expats on their views on Brexit in the months leading up to the vote. Our interactive team built a hub to showcase the responses. When a comment by reader Nicholas Barrett on the millennials’ take on Brexit went viral, we quickly invited him to write an Op-ed for us, suggesting the potential for spotting and commissioning talent from your own readership. A letter from a reader expressing his dismay at the result also went viral. “We have been asking, listening, and curating the most thoughtful comments in roundups on-site. We’ve also used this as an opportunity to answer our audiences’ most pressing questions, and to ask expert readers to help answer ours,” says Lilah Raptopoulos. Since the vote, the number of comments per day on ft.com has more than tripled, with a high number being first-time commentators. 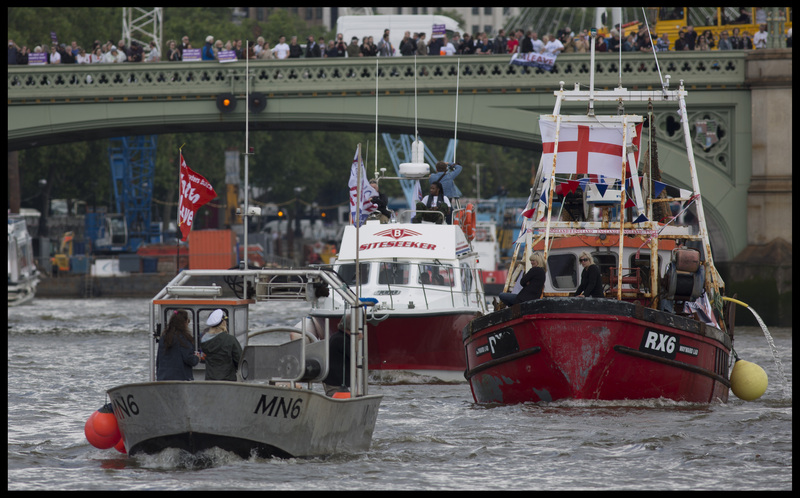 Members of the Leave campaign sail to Westminster ahead of the UK’s EU referendum. Photo by Charlie Bibby. June 15, 2016. What is your news organization especially known for? We realized that with a heavily-covered event such as this, it was more important than ever to play to our strengths. The FT is, among other things, recognized for the expertise of its economics team. 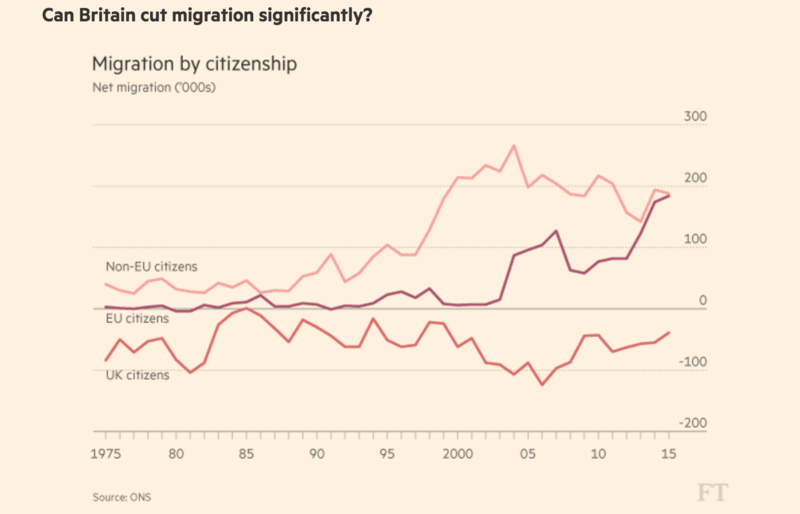 We wanted to showcase this in a way that could be widely shared, so Chris Giles, economics editor, summarised his views in a piece of visual journalism: “Brexit in seven charts.” It was consistently one of our top read articles in the run-up to the referendum and has continued to rank among the most engaged with stories, even after the vote. Similarly, after the referendum, John Burn-Murdoch, our data journalist, explained the demographic drivers behind the Leave result with a data visualisations-led piece. It showcased quick analysis of complex data. The story was widely shared on social media. 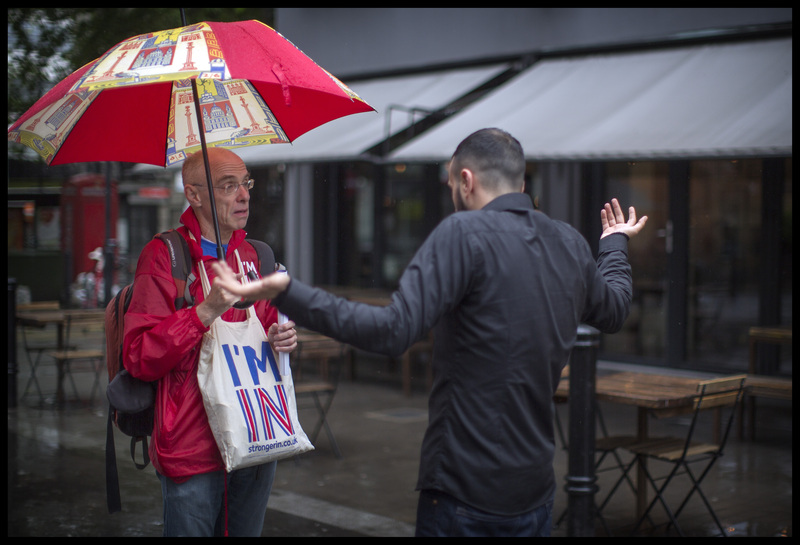 Although many people first became taken with the referendum in June, the FT had long before been covering the potential impact of the vote. We put significant effort into identifying, updating and re-promoting articles — such as explainers, profile pieces, and features — that held evergreen promise. We selected and prepared 35 timeless pieces of journalism we had published on the referendum, dating to last September, and fed them to readers during the final weeks of the campaign. We are also updating them and re-promoting the pieces in the aftermath of the decision. After June 23, the Brexit story in effect became several different news lines. We knew that our different audiences would not necessarily want the same material. We sent UK-focused political stories to our Facebook followers in the country and bigger picture items went to our global audience. In addition, we added a separate Brexit channel to our existing WhatsApp broadcast list, which saw over 3,000 people sign up in the two days before the vote. We used the channel to send around 10 updates on the Thursday night and Friday of result, with a very high click-through rate (often more than 50 percent). 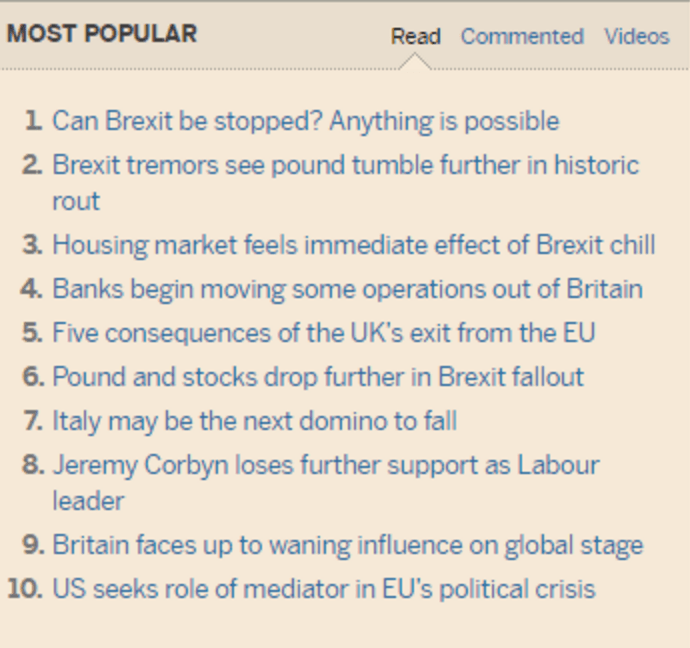 To underline the point about audience interest in the event, here are the most-read items on the FT website on Monday June 27, three days after the vote. The common theme: They’re related to Brexit. Sarah Laitner runs the FT’s social media journalism. She is a former correspondent for the FT and has reported from Brussels, Washington, D.C., Amsterdam and London. Robin Kwong is special projects editor at the FT, where he co-ordinates coverage of large stories and runs newsroom experiments. He is a former interactive data journalist, and an ex-FT correspondent in Taipei and Hong Kong.